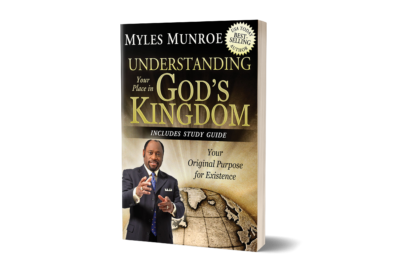 ﻿ Single, Married, Separated and Life After Divorce – (Expanded Edition) – Munroe Global, Inc.
View cart “Understanding The Purpose & Power of Women (Expanded Edition)” has been added to your cart. 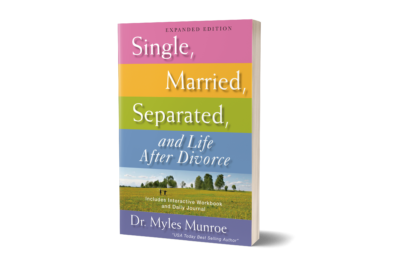 Written by best-selling author and beloved Dr. Myles Munroe, Single, Married, Separated, & Life After Divorce, Expanded Edition brings meaningful understanding to various stages of relationships. 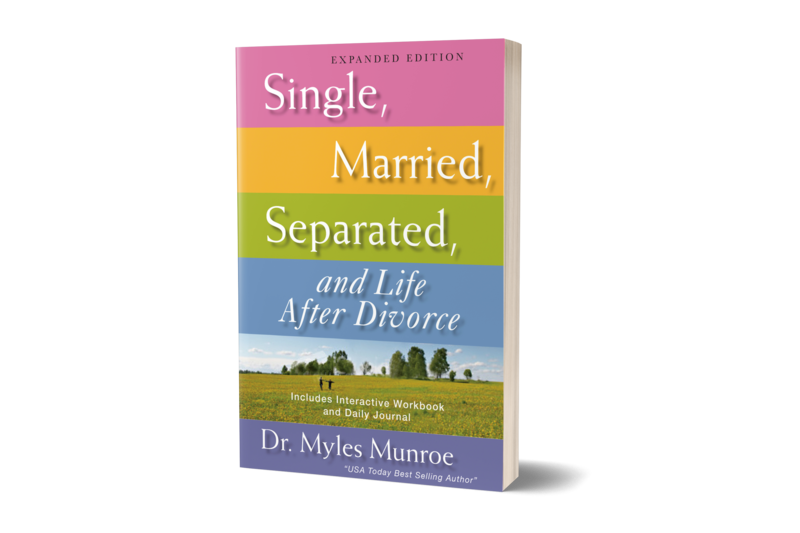 Whether you are single, married, separated, or divorced, you can feel peace and wholeness when you understand God’s plan for your life. 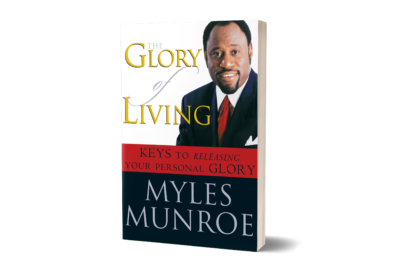 Get ready to move into a new and exciting life full of love and acceptance—from within yourself, God’s special creation. No longer will you need to lean on or enable another to feel worthy or accepted. God created you a unique and beautiful person full of potential and self-worth. 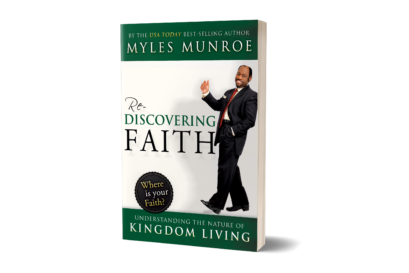 Enjoy the relationships you have—lean on God’s plan to move you forward into a life filled with His best blessings.